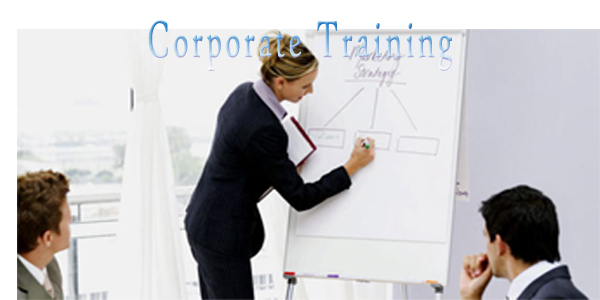 Corporate training and important ingredient for all the corporate companies. It's been designed in a very simpler form where clients can post training requirements and corporate trainers can apply for training requirements. This section helps all the corporate trainers, training companies to grow and to enhance their profit levels ensuring growth to all small and medium enterprises and also the making it easier for the clients to fulfill their corporate training requirements. A2Z Computex Created a common platform for all the corporate trainers and companies bridging the gap of training needs. the advantages for the training companies and individual trainers are that they would be widely seen by the industry through out India for their training requirements. With this the individual trainers and the training companies can fulfill the training needs of the industry through out India, and also his plat form would reduce the cost of marketing for the training companies and individuals and this platform would also enhance profits of training companies and individuals resulting in a huge growth not only as an individual trainer or training company but also gives a privilege to be the part of the growth of the growing economy. Today's highly competitive market place has put great emphasis on important elements like the effective use of resources, increased productivity, faster product development and time to market to beat the competition and succeed. This has increased the need for complex systems and shorter product life cycle. The work force should be trained on these complexities to meet the goal of the organization. This has necessitated the corporate training model where the companies utilize the expertise of experienced trainers for their project specific customized training needs. These training programs are also organized for skill development and retention of the existing workforce. Programs handled : The needs of the growing industry are varied as they depend largely on the customer requirements. Leveraging our experience in corporate training for last 2 years, we have formulated content for some of the frequently conducted programs as mentioned below. We are also open for offering customized programs as per client's need. Select Any One programs According to Your Corporate Need.